As Austria’s largest interconnected skiing area, the SkiWelt Wilder-Kaiser Brixental offers a vast 279km of ski pistes. The perfect resort for beginners and intermediates, this is a ski destination not to be missed! The vast SkiWelt area is an intermediate skier's paradise, it connects 8 Tyrolean villages in total, and enjoys an excellent snow record, as well as having outstanding snow making facilities. There’s a huge range of wide open blue and red runs to cruise, and even inexperienced skiers can enjoy a ski safari from village to village. Perfect for beginners, our resort has wide open and gentle nursery slopes at village level, close to the resort centre. These are served by six drag lifts, and are accompanied by a choice of three well-regarded ski schools to get you started. 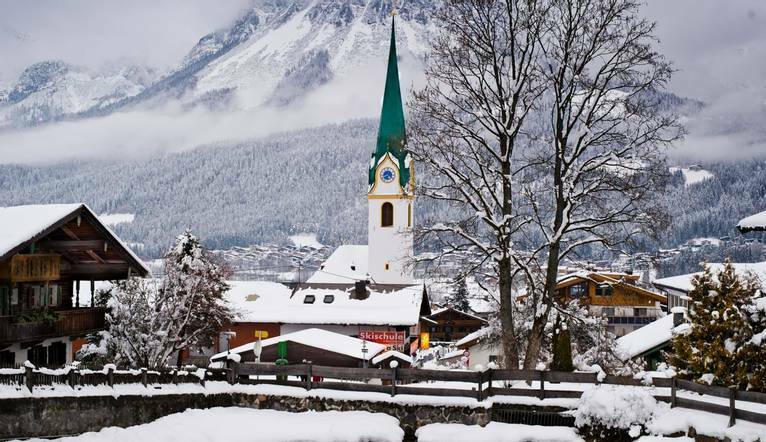 Our hotel lies in between the beautiful resorts Ellmau and Going, and the ski bus stops right outside, so you can plan your starting and end point for the day. Both of the resorts are also an easy 10 minute walk away from the hotel. Going has a traditional feel with its charming village square and beautiful rococo architecture with spectacular panoramic views of the Kaiser mountain range. Laid back Ellmau is the more lively of the two resorts, and the fun starts as soon as the lifts close, with plenty of cafés, pubs and bar to choose from. The transfer from Salzburg Airport to the hotel is approximately 1 hour 45 mins, depending on weather and traffic. After 3 days you can add on extra days. We suggest a Group Collection to cover transfer drivers, and hotel staff of €15.00 per person. Your Tour Leader will collect this on your behalf and distribute it accordingly, thus relieving you of the burden of who, when and how much to tip. The tipping of housekeeping will be left to your individual discretion (a small amount left in your room on departure should cover this and would be much appreciated). As is customary, ‘the hat’ will be passed around for the driver and guide on all optional excursions. For any meals that are not included in your itinerary, or taxi fares, your Tour Leader can advise of an appropriate Ͽo add on. If you choose to have ski lessons, you may also like to thank your ski instructor at the end of the week with a token of appreciation.